Currently enrolled UH students can borrow with a KCC ID or UH student number (and picture ID). Books may be checked out for 2-4 weeks depending on which collection it is borrowed from and patron status. Only UH affiliated students, faculty and staff can borrow items through UH Intra-system Loan from any college or university in the UH system. Intra-system loans of books and short articles are free, but a fee will be charged for articles over 50 pages. See the full description of University of Hawaii circulation policies for more information. 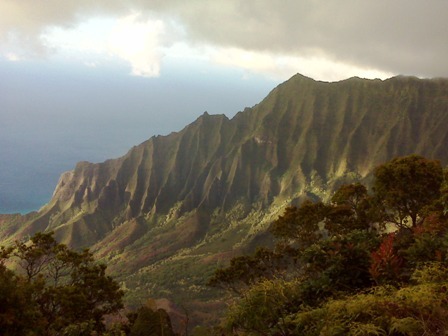 The Kauai Community College Library offers a rich collection of resources and services for students, faculty, staff and the community. We have a core collection of books, magazine, journals, newspapers, videos, and DVDs, complemented by our participation in the UH Intra-Library Loan service which opens up the collections of 13 UH Libraries (over 3.5 million items) to our students. We offer information literacy instruction, reserve services, group study rooms, and access to desktop and laptop computers to help out users learn how to effectively locate, retrieve and evaluate information. 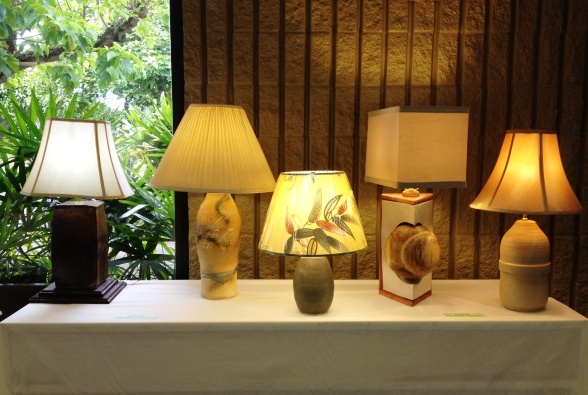 Handcrafted lamps by students in Wayne Miyata's Art 299V class. The library provides an intellectually stimulating environment for the college community by providing a variety of resources and services that promote development of critical thinking and information literacy skills. The Library is located in the S.W. Wilcox II Learning Resource Center of Kauai Community College in Puhi. The building is located near the front of the campus, behind the 2 story One Stop Center and the Bookstore.